In the market for some new craft ideas? Looking for a project you’ll enjoy that will create something you can actually use? 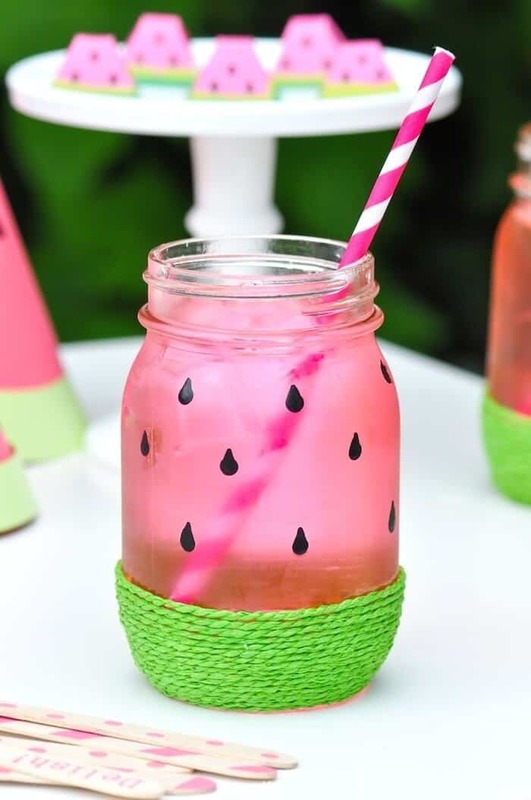 How about a tassel craft? You can adorn just about anything with tassels! If you want to take it a step further and wear your tassels, keep reading. 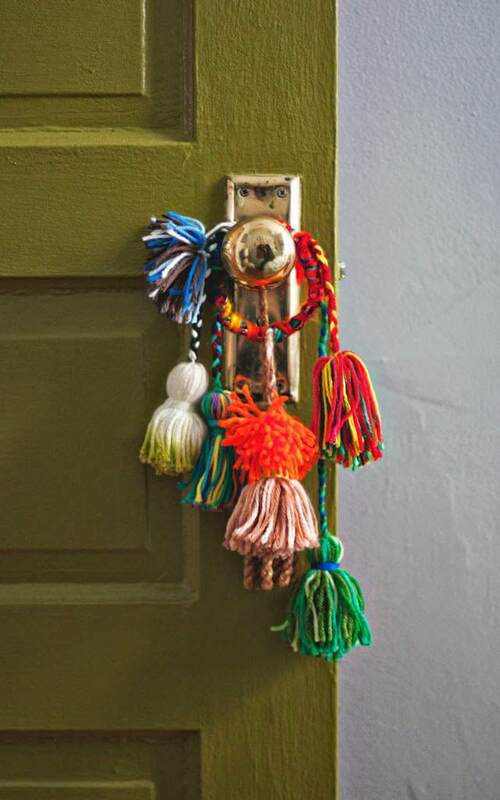 These are seriously fun and stylish tassel crafts that will embellish your outfit or your home. 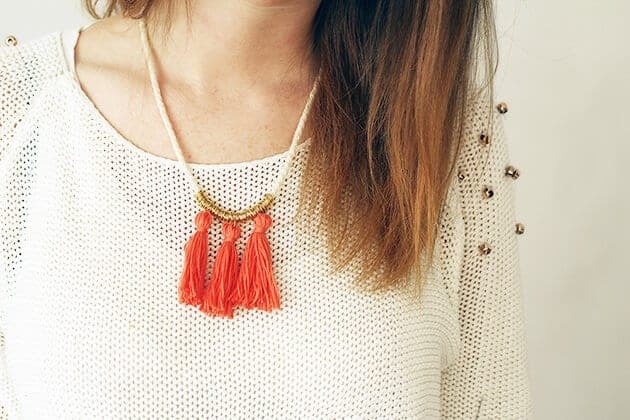 Impress all your friends by wearing a handmade tassel necklace to your next mom’s night out. While making it, hang the tassels from jump rings to add a punch of metallic detail. The nice thing about handmade jewelry is that you can customize it to fit your style, so make the necklace as short or as long as you like! Get the supply list and full instructions from Fall For DIY. source: Live It. Love It. Make It. When you find that pair of sandals that you plan to wear all summer, add a few tassels to give your look a dose of fun! 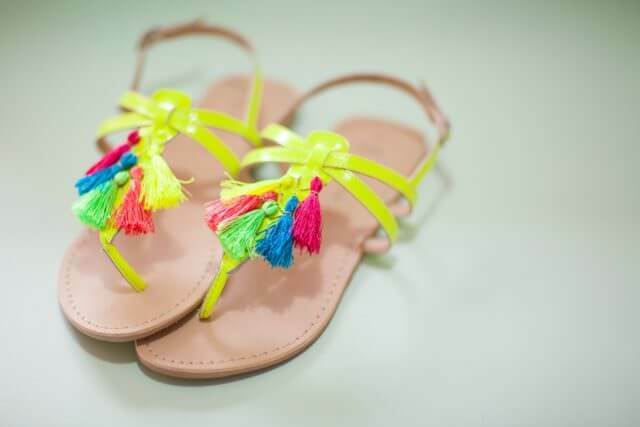 You can add tassels to other shoe styles too, but the bright colors of summer make it the prime season for a tassel craft. Check out Live It. Love It. Make It. for instructions on this craft. You know what’s better than curling up with a cozy blanket? Curling up with a blanket that has tassels on the edges! If you’re looking for a creative gift idea, consider taking a plain blanket and “tassel-izing” it! 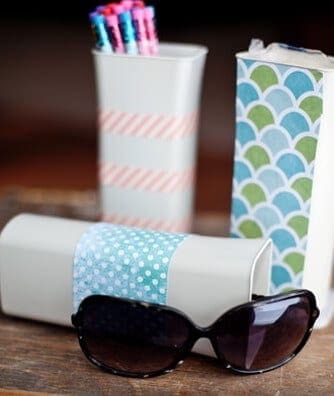 It would be a fun project for you, and the gift recipient would feel special that you worked so hard to give them a meaningful present. 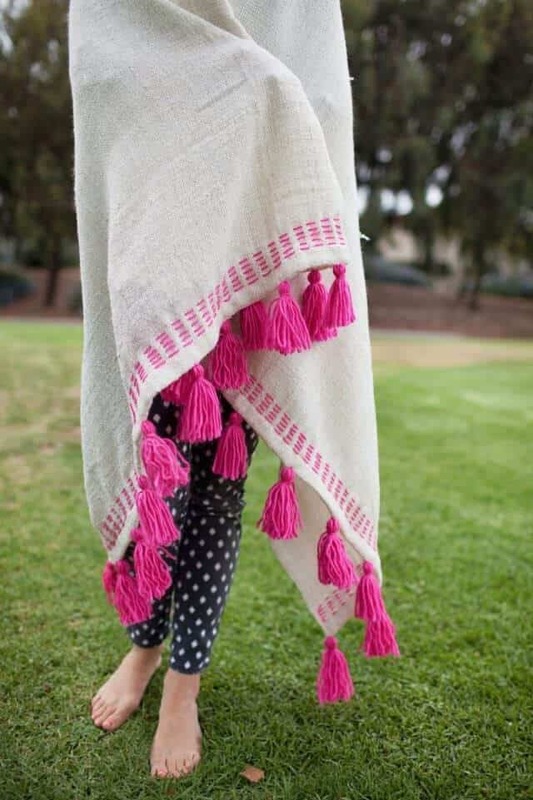 Take a look at Tell Love and Party to learn how to add tassels to a blanket. 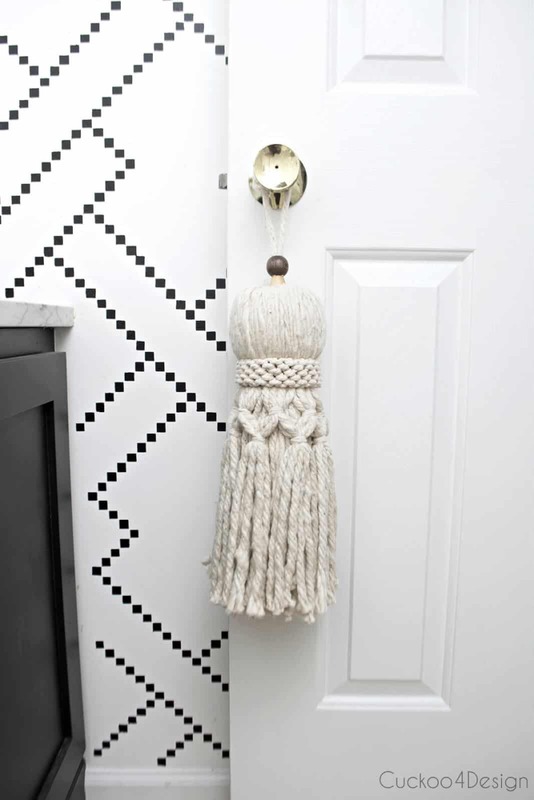 If you have a tween(ager) who wants to update her bedroom, but you can’t afford to do a complete renovation, perhaps a small upgrade in the form of tassels would satisfy her. You can make a huge difference in a room by adding a punch of color and texture. 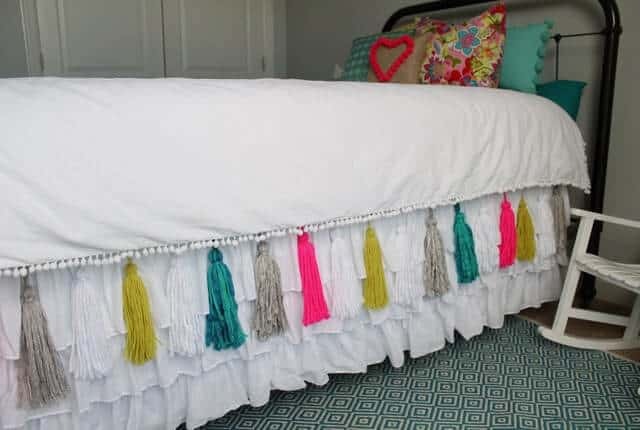 Even though adding tassels to a bed skirt isn’t giving your drama queen a “new” room, it’s definitely a cool way to spice up her space. Pop on over to Tatertots and Jello for the tutorial on this project. Every Christmas, I hang a knob bobble on my door that has bells on it. I love the idea of decking out my door for the holidays! If you want to give your door knob a mini facelift, this craft is a really cool way to do it. 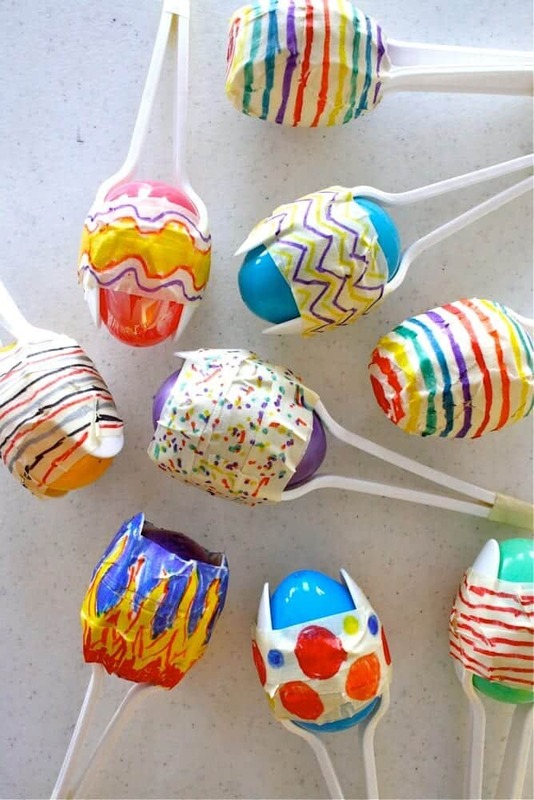 The result is a colorful, Bohemian style bobble that will allow you to show off your artistic skills. 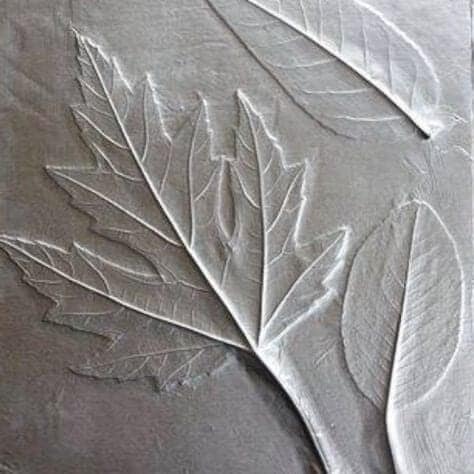 You’ll find the instructions for making this at Aunt Peaches. A scarf is one of the most versatile accessories. It’s meant to embellish your look while also keeping your neck warm. But not all scarves are created equally stylish. You can take a plain scarf, maybe one that you’re considering getting rid of, and add tassels to make it more fashionable. Check out the tutorial for this project on A Beautiful Mess. Don’t you love displaying your craft projects in your home for visitors to see? Here’s a fun one that will look fabulous on your wall! 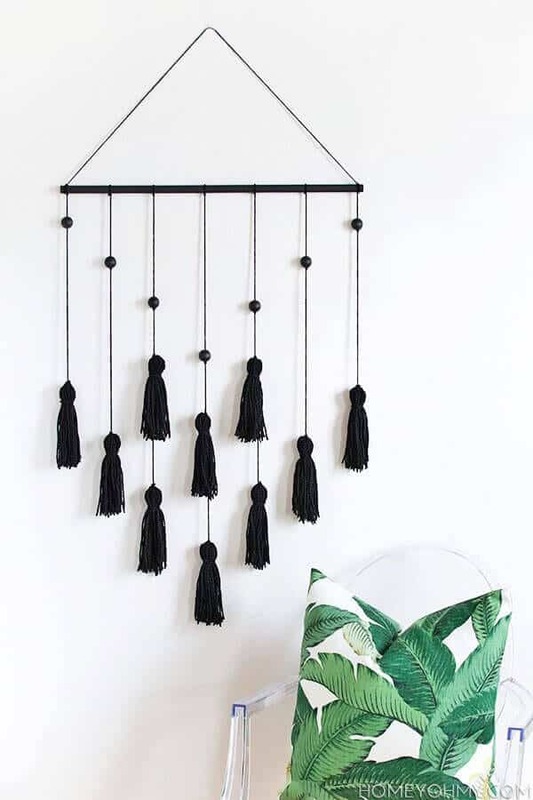 Using wood beads and acrylic paint, a tassel wall hanging is a sure way to give your living room a conversation piece. Homey Oh My has the full instructions for putting this together.